A very warm welcome to the FFSC cruising programme 2019. 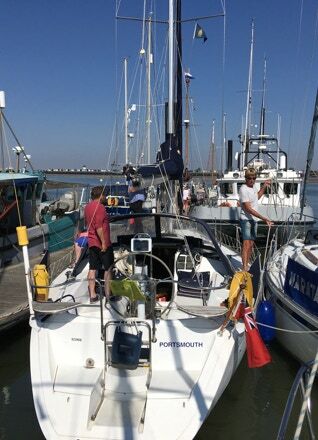 If you have not joined us before, we are a very friendly group with a wide range of sailing, yachting and motor boating experience, very happy to welcome newcomers and offer support to get you involved. For each cruise, we book the named marina or moorings for the club well in advance, and also book dining at a nearby sailing club or restaurant for the first night at least. We need numbers, boat name and other details, and menu choices in advance as far as possible, but you are under no obligation to be part of the group if you prefer to do your own thing. You are welcome to join any cruise or evening dining by any means of transport. Crew are often needed to assist in longer passages: do ask if interested in coming along as crew. Please note that these are provisional dates and arrangements so far and may be subject to change if numbers/weather/tides mean some adjustments are needed nearer the time. ﻿• ﻿Woodbridge ﻿at ﻿the ﻿Kings ﻿Head ﻿(Barrack ﻿Room). ﻿Book ﻿dinner ﻿from ﻿menu ﻿choices ﻿available ﻿now. ﻿New ﻿members, ﻿friends ﻿and ﻿relatives ﻿all ﻿very ﻿welcome. ﻿• ﻿19th ﻿– ﻿Dining ﻿at ﻿the ﻿Royal ﻿Harwich ﻿Yacht ﻿Club. ﻿• ﻿ ﻿20th ﻿– ﻿Walton ﻿Yacht ﻿Basin ﻿(12ft ﻿width ﻿restriction ﻿in ﻿lock ﻿and ﻿ ﻿subject ﻿to ﻿tidal ﻿conditions) ﻿Dining ﻿at ﻿Walton ﻿& ﻿Frinton ﻿YC. ﻿• ﻿Those ﻿who ﻿would ﻿prefer ﻿to ﻿use ﻿Titchmarsh ﻿marina ﻿will ﻿need ﻿to ﻿let ﻿the ﻿Yacht ﻿Captain ﻿know. ﻿• ﻿21st. 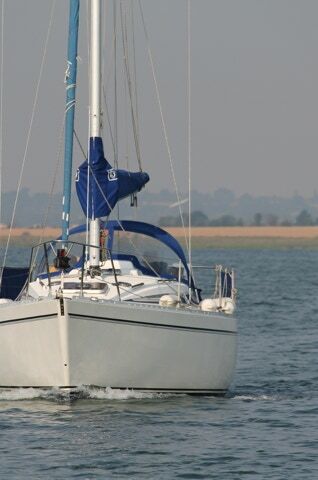 ﻿– ﻿Shotley ﻿Marina ﻿– ﻿Dining ﻿at ﻿the ﻿Shipwreck ﻿if ﻿required. ﻿• ﻿Early ﻿May ﻿Cruise ﻿– ﻿Titchmarsh. ﻿• ﻿Dining ﻿at ﻿the ﻿Harbour ﻿Lights. ﻿• ﻿Any ﻿other ﻿ideas ﻿for ﻿this ﻿cruise ﻿are ﻿most ﻿welcome. ﻿May ﻿25th ﻿-27th. 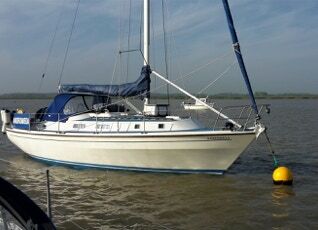 ﻿Late ﻿May ﻿Cruise ﻿to ﻿Brightlingsea. ﻿• ﻿Several ﻿great ﻿options ﻿for ﻿dining ﻿available ﻿for ﻿26th ﻿, ﻿including ﻿possible ﻿lunchtime ﻿venue ﻿at ﻿Mahalah’s ﻿by ﻿water ﻿taxi ﻿to ﻿Mersea ﻿island. ﻿• ﻿(exact ﻿departure ﻿dates ﻿to ﻿be ﻿confirmed. ﻿We ﻿often ﻿depart ﻿from ﻿Levington ﻿to ﻿ensure ﻿the ﻿best ﻿tidal ﻿push). ﻿• ﻿Book ﻿for ﻿5 ﻿nights ﻿minimum ﻿at ﻿St ﻿Katharine’s ﻿for ﻿the ﻿best ﻿weekly ﻿rate. ﻿• ﻿Dine ﻿at ﻿one ﻿of ﻿the ﻿local ﻿pubs. ﻿Dinghies ﻿needed ﻿as ﻿mooring ﻿only. 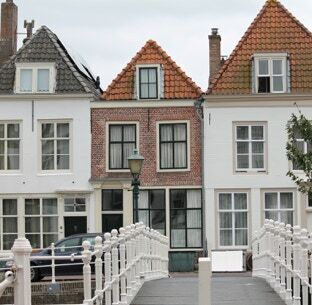 ﻿Early ﻿July ﻿for ﻿up ﻿to ﻿2+ ﻿weeks ﻿or ﻿as ﻿long ﻿as ﻿you ﻿wish ﻿Holland ﻿Cruise. ﻿• ﻿More ﻿information ﻿available ﻿shortly. ﻿Details ﻿and ﻿possible ﻿itinerary ﻿is ﻿work ﻿in ﻿progress ﻿and ﻿likely ﻿to ﻿be ﻿discussed ﻿at ﻿Social ﻿evening ﻿on ﻿March ﻿16th. ﻿• ﻿20 ﻿boat ﻿spaces ﻿reserved, ﻿and ﻿clubhouse ﻿reserved ﻿for ﻿16th. ﻿• ﻿August ﻿17th: ﻿dining ﻿at ﻿The ﻿Last ﻿Anchor, ﻿already ﻿reserved. ﻿Late ﻿August ﻿/ ﻿Early ﻿September ﻿– ﻿Multi-stop ﻿cruise ﻿to ﻿– ﻿The ﻿Blackwater, ﻿Colne ﻿and ﻿Crouch. ﻿• ﻿Still ﻿at ﻿planning ﻿stage. ﻿• ﻿dates ﻿to ﻿be ﻿confirmed.